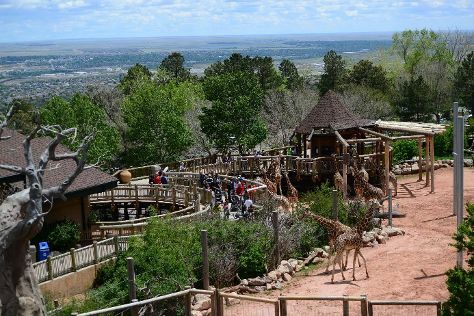 Escape the urban bustle at North Cheyenne Canon Park and Starsmore Discovery Center and Cheyenne Mountain Zoo. Do some cultural sightseeing at The Winery at Holy Cross Abbey and Museum of Colorado Prisons. Explore Colorado Springs' surroundings by going to Cripple Creek (Outlaw and Lawmen Jail Museum & Old Homestead House Museum). There's still lots to do: take an in-depth tour of Colorado Springs Pioneers Museum, see the interesting displays at Michael Garman Museum & Gallery, and admire the masterpieces at Colorado Springs Fine Arts Center at Colorado College. To find traveler tips, maps, photos, and more tourist information, go to the Colorado Springs trip itinerary website . Expect a daytime high around 60°F in April, and nighttime lows around 33°F. Finish your sightseeing early on the 23rd (Tue) to allow enough time to travel back home.